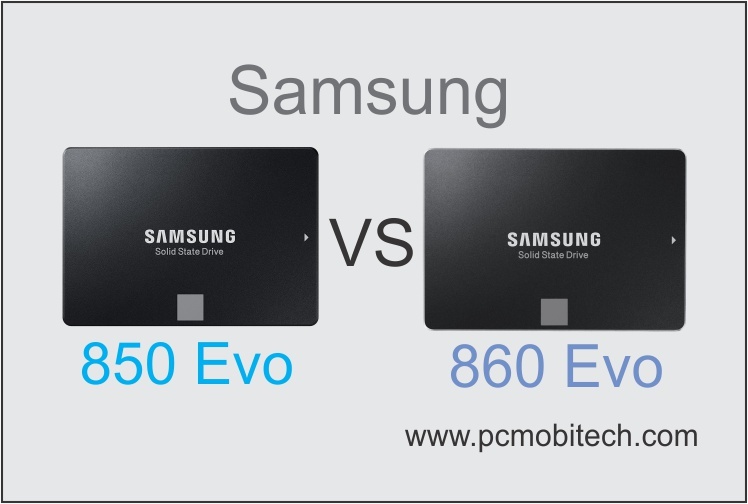 Are you confused between Samsung 850 Evo and 860 Evo SSD and not understanding which one you should buy. First, I want to clarify that I’m comparing here Samsung 850 EVO 500GB 2.5-Inch SATA III Internal SSD (MZ-75E500B/AM) vs Samsung 860 EVO 500GB 2.5 Inch SATA III Internal SSD (MZ-76E500B/AM), so don’t confuse if you’re searching for Evo M.2 version. Samsung Evo 850 and 860 both SSDs are powered by Samsung V-NAND Technology. So you’ll always get highly optimized performance for everyday computing work. Your PC will perform much better for gaming and graphical editing work. Samsung 850 Evo is available in 120GB, 250GB, 500GB, 1TB, 2TB, 4TB variants but Samsung 860 Evo doesn’t have 120GB variant and you can buy 250GB, 500GB, 1TB, 2TB, 4TB variants. Samsung 850 Evo weight is approx 1.92 ounces (54.43 Grams), and 860 Evo is coming with 3.04 ounces (86.18 Grams) weight. Evo 860 has some extra weight but does it doesn’t matter. Both Solid State Drives have come in similar aspect but have a bit difference, 850 Evo size is 3.94 x 2.76 x 0.27 inch and 860 Evo 3.94 x 2.75 x 0.28 inch. Both drives use same SATA III port and run on SATA 6.0 Gb/s connection, so there is no difference in the connectivity section. In terms of performance, both drives perform as same. The 850 Evo & 860 Evo both support SATA III ports and usage SATA 6.0 Gb/s connection. Therefore, you’ll get almost equal performance in both solid state drives. Samsung has claimed that when it comes to reading speed, 850 Evo can read the Sequential data upto 540 MB/S and 860 Evo can read upto 550 MB/S speed. And both drives can write the Sequential data upto 520 MB/s speed with Intelligent TurboWrite technology. Both SSD’s support Windows Server 2003 or above including, XP, Vista, 7, 8, Windows 10 (32-bit and 64-bit), MAC OSX, and Linux Operating Systems. Samsung 850 Evo was launched in 2014 & Samsung 860 Evo in 2018. A 5-year limited warranty is available on both Evo 850 and Evo 860 SSD. Both drives Include Samsung Magician software which has data migration tool, helps to migrate data to new SSD without any hassle. The RAPID mode, if enabled then it boosts the SSD performance up to 2x faster than average. After reading, you can understand that there’s not much difference between Samsung 850 EVO 2.5-Inch SATA III Internal SSD (MZ-75E500B/AM) vs Samsung 860 EVO 2.5 Inch SATA III Internal SSD (MZ-76E500B/AM). Samsung 850 Evo was launched in 2014 and 860 EVO in 2018. Samsung EVO 860 has new MGX controller which makes it a bit better than 850 but again not a huge difference. But you’ll find the price difference. So, you can go for any of between of these, you’ll not disappoint with anyone. Please don’t forget to leave your comments, your’s feedback is also important to us and it will also help other users to understand which one SSD is best for you. Asus A555LA-XX2065D 15.6-inch Laptop review. How to protect an Android Device from Malware. 10 Useful-Tips for Xiaomi MIUI 9.5 & Mi or Redmi Series Smartphones. 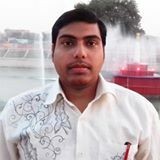 Share Mobile Internet to PC-Laptop without WiFi Hotspot. This is fundamentally wrong. Aside from the release dates and underlying technology the fundamental difference between these two is the lifespan – how many total writes each will with stand. There is a *substantial* reason these are priced differently. The question the reader needs to know is: do they need the extra lifespan. Which one has the greater lifespan?